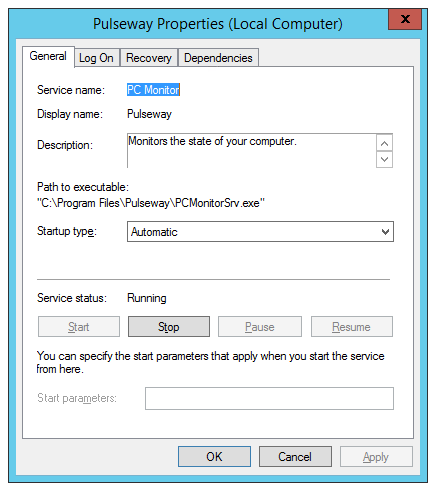 Recently one of our Administrators reported that he had to manually startup some Pulseway services after windows updates. It sometimes happens that during Windows updates on hosts machines get into Paused state, and when they come back, the service goes down and stays down. 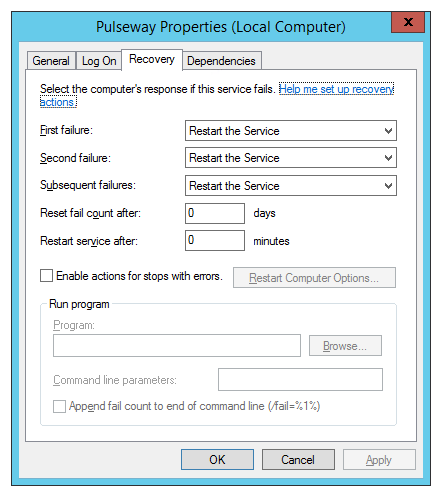 The way to fix it is to set service recovery options. Since it's possible that the first two tries will fail, I wanted to fix this so it would keep Pulseway up and running always. The rest of the parameters are optional. Set-ServiceRecovery -ServiceDisplayName "Pulseway" -Server "MAIL1"
Keep in mind this script doesn't use Service Name but Display Name. I've chosen this approach due to the different naming of services. This is true for Pulseway which used to be called PC Monitor.